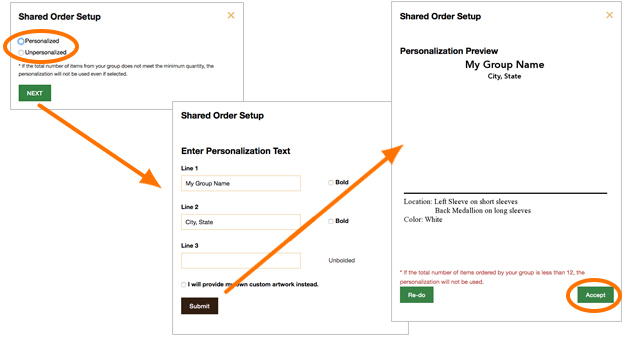 Simplify getting your group's order together with Shared Order™! Just pick the design you want and let each person choose and pay for their own shirt - we'll take care of the rest. Login to Your Account. 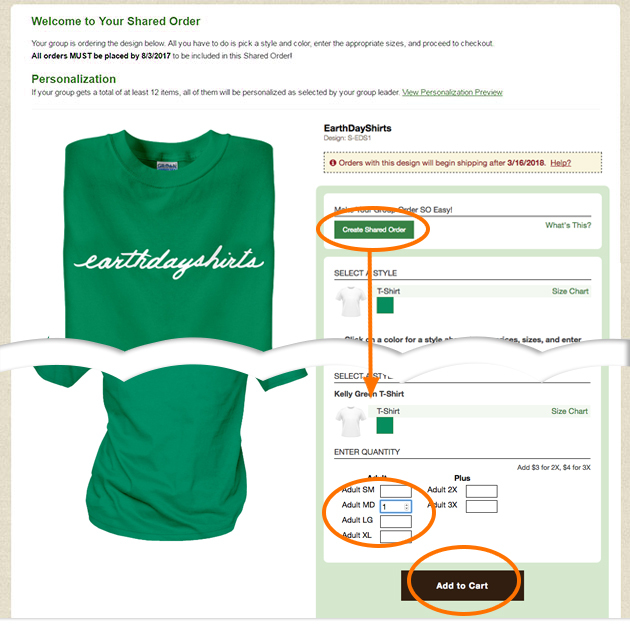 You must be a registered EarthDayShirts or WorkPlacePro customer, so if you don't have an account yet, now is a great time to create one! 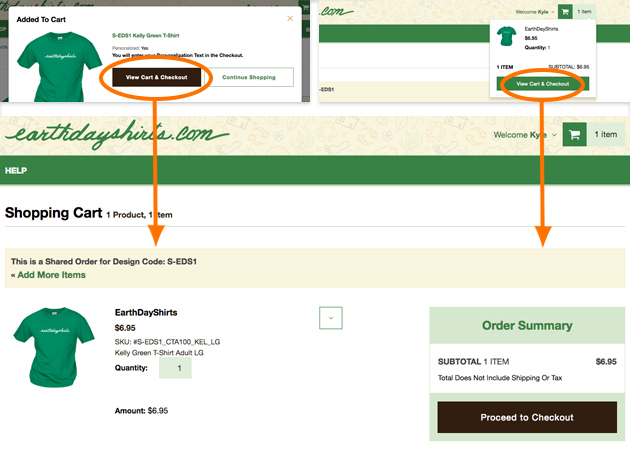 Once you're signed in, go to the product page for the design you want, and click on the "Set Up a Shared Order" button. The creation wizard will appear to walk you through the process in a few easy steps. Note that you need at least 12 items total to meet the minimum, so encourage everyone to participate!